The Catherine lace cover up is a wedding day coat, lovely as a getting ready robe or over your bridal lingerie for a stunning boudoir look. Hand made from exquisite French Chantilly lace and lined in tulle. 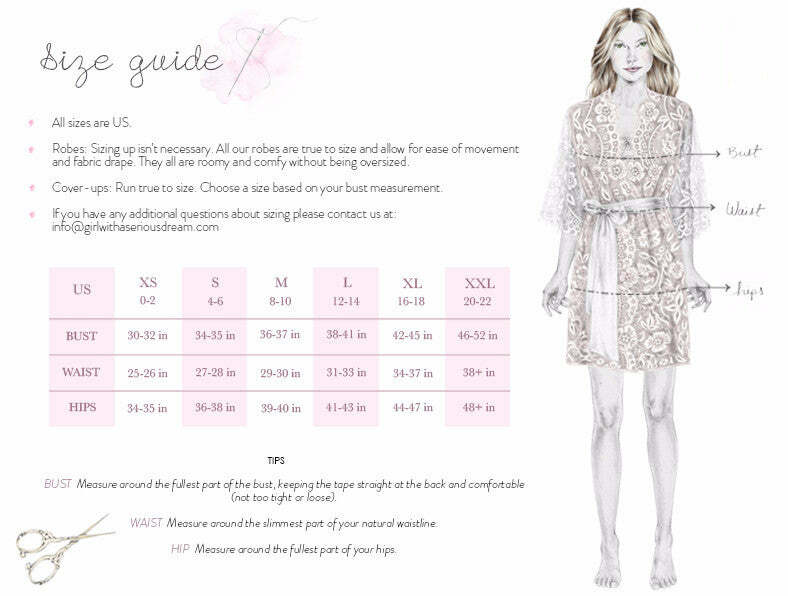 Made one-by-one, this mid-length cover up features fine Chantilly lace scalloped eyelash edges along the sleeves and hem. The bodice is fully lined with soft tulle to give it a structured yet ethereal look. Knee length. Comes with a removable French grosgrain ribbon belt Color: Off-white (pale ivory) Fits true to size. Take your normal size.